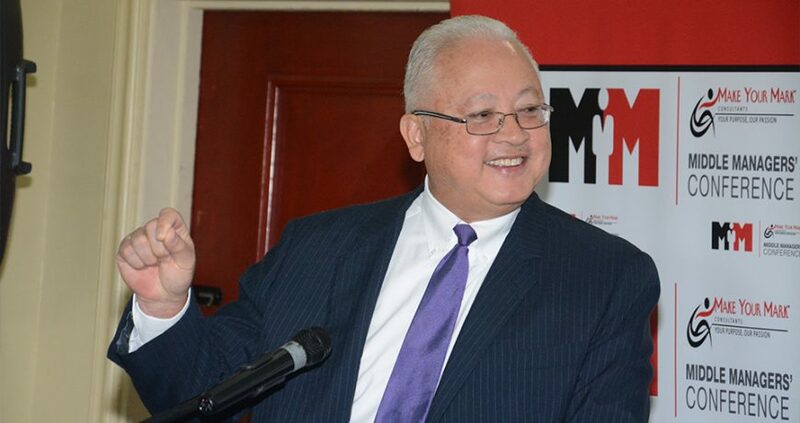 While addressing the media launch of the Middle Managers’ Conference 2017, Minister of Justice Delroy Chuck called for a more business-friendly ethos in the public sector which will be essential to propel the current Administration’s ‘5 in 4’ growth strategy. “There needs to be a shift in the orienting philosophy of the public sector, which must lead to the development of a customer-centric culture as a core value and a business DNA that shapes decision-making, problem-solving and a reward system, as well as determines sanctions for non-performance. Addressing attendees at the launch on March 31 at the Knutsford Court Hotel, the justice minister reasoned that this can be achieved through a greater focus on coaching, mentoring, knowledge management and developing a culture of change. He also pointed to the need for leaders with a high “transformational IQ” — leaders who know how to rally people around a vision, motivate team members, and who have mental toughness. Middle Managers’ Conference 2017, organised by Make Your Mark Consultants, will be held from April 25 -26 at the Jamaica Pegasus under the theme “Leadership 365”.